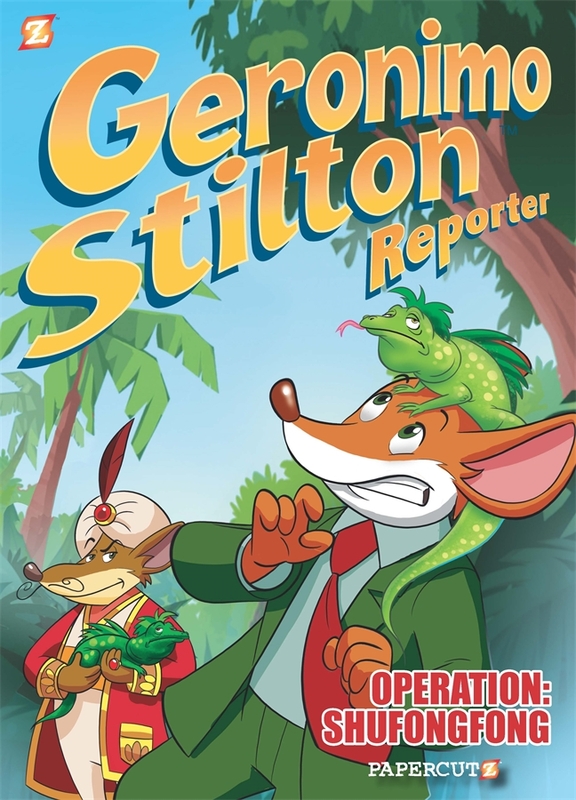 Geronimo Stilton Reporter #1: "Operation: Shufongfong"
Geronimo Stilton is back in new comic stories based on the animated series, now airing on Netflix! The famous Prince Nogouda pays a visit to New Mouse City and ace reporter Geronimo Stilton has an exclusive interview. Meanwhile, at the Mouse Museum, the rare breed of Shufongfong lizards have been kidnapped!